Board members present: Scott, Marshall, Marie Wolf, Chris Sur, Mark B, Tom Parent, JobyLynn S, Jeff, Dean M, David S, Arthur Knowles, Chris DeParde. Matt Perry introduced himself do the new board as President of the EHNA and business association. Elizabeth Glidden gave an update on Instant Run-Off Elections. Law suit is holding up the project. An election board committee meeting will be held to discuss the issue. 35W construction is in the urban partnership phase. Neighbors are experience serious problems with vibrations from construction work. They cannot sleep. Elizabeth is attempting to see what options are available to fix the problem. Graffiti on MNDOT sound walls is a problem as MNDOT does not respond fast enough to clean ups. Dean moved to accept minutes of last board meeting. DeParde seconded and was adopted unanimously. A $9,000 grant for “HourCar” was given by the city. 38th and Nicollet will be the sight of the business. HourCar will also give a grant from a McKnight grant. KFNA commitment is $1,000. The car is valued at $24,000 and HourCar has a 2 year guarantee. Arthur Knowles moved to except this grant and the motioned passed unanimously. KFNA received a $1,500 micro grant from the city for community gardening projects. KFNA will identify 4 sites and approve these sites based on social networking, agricultural sustainability, and neighborhood beautification. Marie Wolf moved to accept the $9350 Graffiti Prevention Grant from the City of Minneapolis Department of Solid Waste and Recycling: Supporting votes by – DeParde, Parent, Bordon, Onsrud, Sassily-James, Sur, Muldoon. KFNA budget states that we have $26,000 according to the bank statement. Treasurers report states we have $8,000. Sarah will need to study for next month. Sarah Linnes Robinson would like conflict of interest statements submitted by tonight. Tom P occasionally does architectural work in the neighborhood. Chris S does pro-bono basis work law work in the neighborhood. He is also chair of Harriet Tubman. Dean M is precinct captain for RT Rybak. Jeff does commercial real estate work in the neighborhood. Tom Parent reviewed officer roles. Chris Sur was elected unanimously as the new board president. Chris DeParde was nominated by Scott and Dean was nominated by JobyLynn for VP. Dean declined and Chris D was voted unanimously as VP. Chris D nominated Dean for Treasurer but Dean declined. Jobylyn nominated by Arthur as Treasurer and voted in unanimously. Dean nominated as secretary by Chris D and was elected unanimously as Secretary. Committee sign up sheet was passed through the board. KFNA has access for use of assets at the FM for one month in the shed at the FM. David S made a motion to grant ample time to use assets while Part II of FM negotiation continues. Chris S, Tom P, David S, and Scott are charged with reporting back to the board. JobyLyn seconded and the motion passed unanimously. Sarah Linnes Robinson reported that there is no board action required at this time. Tom P mentioned that the board’s role could be bringing differing ideas together. Chris S and Chris D echoed this idea. Jeff suggested that KFNA establish and School Committee. Chris D suggested that instead of a committee, a task force is more appropriate for the schools issue. Sarah LR will possible get group of 15 together for a discussion. Green committee announced that it will match 50/50 donation to CPaS for the Cop Bike project. 3912 and 3916 Blaisdell identified as problem properties owned by Bremmer Bank. Dean M was elected as the “elector” to the commission and Arthur K was elected as the alternate. Board Members Present: Mark Brandow, David Brauer, Arthur Knowles, Tom Parent, Dave Saddoris, JobyLynn Sassily-James, Chris Sur, Marie Wolf. Board Members Absent: Robyn Bipes, Chris DeParde, Karen Pieper, David Potosky, Diana Schleisman. Community Members: Jeff Bajek, Mike Cronin, Becky Dankowski, Karla Hill-Donisch, Meg Hoyt, Barry Markus, Jeanne Massey, Mike McAneny, Jane Onsrud, Marshall Onsrud, Allison Valencia. The community forum was a lively discussion of responses to the Minneapolis Public School Board’s (MPS) proposed changes to public school options. (MPS intends to have a recommendation by April 28; its stated focus is to have quality equity in all schools, increase diversity, and promote cost-effectiveness. Some magnets would probably be eliminated, and all districts would have a community school. These changes would be implemented in 2010). Jeff Bajek reported that he and several neighbors had formed a group to address the school situation and recommended several options: a dual campus K-8 plan using the Lyndale and Barton buildings, combining the Lyndale and F2 areas, or combining F2 with the open area east of 35W in a K-8 community school in the Barton building. Karla Hill-Donisch noted her process concerns: that there had not been enough meetings to understand what MPS is planning. She would ask MPS to postpone a final recommendation in order to allow more community input to the process. She was also concerned that people were breaking up into special interest groups rather than coming together. Jeanne Massey also embraced the idea of process, stating that the MPS timetable should be pushed back to allow the Kingfield neighborhood to come together as a community. She also would like to see options based on data. Becky Dankowski said that it appeared that many people in Minneapolis were unaware that major changes were being planned by MPS and that all neighborhoods needed to be consulted and have opportunities to weigh in. Bajek added that he did not believe that MPS had settled on a final recommendation, but that MPS board members were clearly bothered that the southwest area was not diversified enough. He said that Kingfield residents also wanted diversity, and expressed optimism that there were solutions that would be win-win. Mike McAnerny questioned what role KFNA could have in the school option process. He did not think that KFNA should advocate for one option over another. Allison Valencia said that she believed KFNA should advocate for a solution that was best for the community. She was concerned that children would be uprooted from their schools and their teachers for insufficient reasons, and noted that many families choose Barton because it is a neighborhood school, not necessarily because it’s an Open magnet. Corey Lahm pointed out that the Barton school is actually in the East Harriet neighborhood and there is no community school in the Kingfield neighborhood. But he questioned if there was a good reason to disrupt a school that has been doing well for 27 years. JobyLynn Sassily-James observed that when she first moved to Kingfield, there were few children in her neighborhood; now there are many families with children and all want to go to Barton. She thought that the schools were going to be changed and children disrupted no matter what; the important thing, in her view, was to make sure everyone is heard. Jane Onsrud believed that if KFNA did not back a specific solution, it should at least support the idea that KFNA should not be split up. She concluded that the most important outcome was a neighborhood school that we can support. Chris Sur thought that KFNA should be wary of advocating for any one viewpoint. Meg Hoyt recalled that when she first moved to Kingfield, no family in her block had children enrolled in public school; with MPS’s three-choice guarantee, more people are selecting the public schools. Barry Markus agreed that more time was needed, but worried that if people put their energy into asking for more time, MPS will just make its decision, and those people will lose their voice. He also thought that people need to be aware that anger exists over the perceived “exclusivity” of Barton, and that anger will grow if it remains an Open magnet school. Sarah Linnes-Robinson handed out a three-page synopsis of how KFNA has been involved in facilitating neighborhood discussion and information gathering regarding the schools. She summarized the stated concerns of MPS, as articulated by Board member Pam Costain. Costain said that changes were necessary because MPS faced shortfalls of $28 and $35 million in the next two years, and transportation costs, as well as under-used school buildings, have been a drain on the budget. Schools have become more segregated every year. For elementary schools, change is likely to mean closing five schools (and possible building of two new ones); rezoning magnet choices to three zones; reducing the number of magnet programs offered; and giving every district a community school. Tom Parent explained that KFNA’s goal at this meeting should be to set up a process for KFNA. David Brauer believed that the scheduled April 13 neighborhood meeting was not workable, and proposed moving the meeting to Wednesday, April 22. Parent introduced a proposed resolution to facilitate discussion. (The motion, as amended and passed, is included on pp. 4-5 of the minutes). Arthur Knowles said that we should remember that MPS is trying to increase diversity and that an area consisting only of Kingfield and East Harriet would probably not be acceptable to it. Brauer responded that everyone agrees diversity is an important goal, but having involved parents is also important. If, for example, Kingfield, Bryant, and Lyndale neighborhoods are joined, diversity is not a problem. There was some discussion about whether KFNA should advocate for F2 staying together. Bajek hoped that KFNA would recommend that F2 not be split up. Brauer thought it was more realistic to talk in terms of keeping Kingfield together. Sur pointed out that KFNA could only speak for Kingfield, not for all of F2. Knowles said that KFNA should do outreach to Bryant, Central, and other nearby neighborhoods. McAneny said that pairing with G3 (Bryant) would promote diversity, which should appeal to MPS. Massey said that outreach should include parent representatives. Linnes-Robinson volunteered to organize a workshop, asking for representation from other schools and neighborhoods, as well as for Kingfield parents and stakeholders, stressing that representatives should come to the workshop with open minds. 1. Consider Kingfield as an indivisible entity. 1. Community cohesion, connectedness and neighborhood pride are paramount facets of common bonds, and few bonds are as strong as the joint work of raising and educating young learners. 2. As an exhibit of the strong sense of community, there exists broad neighborhood sentiment that as a community we have the energy, drive, and support to create vibrant, diverse, and successful schools. 2. We ask that the process of changing Open Area F2 be re-imagined to include an open and productive public process. 1. Decisions of such great impact on the livability of our neighborhood and the success of the public school system should be given their due consideration. As such, KFNA, in conjunction with surrounding neighborhoods, including nearby open areas, would like to offer to facilitate a fast-track process that strives to meet Minneapolis Public School objectives in an atmosphere responsive to neighborhood concerns and goals. 2. By creating an empowering and positive process regarding potential changes, we believe broad neighborhood consensus is attainable and will focus the efforts of many dedicated parents and community members on making Minneapolis Public Schools as successful as possible. There was also a brief discussion about the annual meeting, to be held on April 20, 2009, and, given the neighborhood’s intense interest, how to integrate discussion of the schools issue with the rest of the agenda, without giving over the entire annual meeting to that issue. Consensus emerged that KFNA would invite MSP Board members to attend the annual meeting for the last part of the meeting and to invite them to bring any information they might want to make available to the neighborhood. KFNA will present its resolution and invite participants to attend the April 22 for further and more detailed discussion. Minutes prepared by Marie Wolf. Elizabeth Glidden – Spoke about budget cuts and LGA (local gov’t aid) formula. The Governor unallotted $13 million from the City. There have been cuts to ongoing state aid payments. The closed pension systems are paid by Minneapolis taxpayers. The shortfall has mushroomed. 2009 is being addressed with one time fixes. 2010 will pose serious problems. The City wants to merge city pensions into a state pension program. Glidden urges the board to contact local politicians about getting state tax funds to assists neighborhoods. Mike McEnaney – Talks about proposed changes to neighborhood school choice system. There is a potential for division in the neighborhood about how this should be handled. Parent attended a community meeting last night and there is a lot of anxiety about how this will affect the neighborhood. Not a lot of concrete proposals as yet. There are concerns about division over what would be the community school, and whether and how the neighborhood would be divided. Some of this is driven about busing costs. Bipes asks about role of KFNA in this process. Tom suggests that this is an open question. KFNA is an organized neighborhood body and it is up to us to decide how to best use that on behalf of the neighborhood. Meeting information is on the web site. Brauer suggests devoting part of annual meeting to this topic. Potosky suggests getting flyers out to residents. Glidden suggests getting information/concerns to the school district early and push the district to explain why they are presenting the options that they are. Bipes suggests that we might be able to put together a primer for people who do not have children and understand the issues. Experience Southwest.com – Mark B. introduced Matt Perry, president of NEHBA to address issue. KFNA was one of two organizations to help the organization exist. ExperienceSouthwest.com is one of many projects of the Association. The organization wants to the neighborhood to have a “Top of Mind” brand for the neighborhood. That was the thinking behind the web site. Idea is a “Yellow Pages” with a geographic filter. Populated with over 2200 businesses. The Association will continue to market the site. There is a partnership with the SW Journal. Chris, the IT person for the association, works with feedback from residents and others to improve the web site and make it more user friendly. Wolf asked about the mechanism for updating and getting rid of obsolete entries. Questions are raised about the motion for granting the money. Sarah Linnes-Robinson looked this up and the original funding request was linked to the web site and questions were originally raised about missing entries. Brauer moves that KFNA reconsider earlier motion and simply appropriate $750 to the Association based on the presentation by the Association. Chris Surnds. All in favor except Tom Parent, who abstains. o Update on Unemployment Claim – KFNA did not file an appeal. There is no information yet from the unemployment office as to what the KFNA exposure might be. o Exec Committee recommends increase of Sarah Gleason’s pay to $19. Brauer moved and Potosky seconded. DeParde explained the basis for recommendation. She is performing well and is proactive in the neighborhood. Sarah L-R recommended the increase and sys that Sarah G. is very efficient. All in favor except JobyLynn SassilyJames, who abstained. The City is three months behind in their payments. We have sufficient money in the bank for this month but we are watching this issue. Annual budget – No major changes from last month. Only changes are bringing in housing loan repayment portion, estimated at $1K per month. Sarah L-R recommends that we request this money. Other change is the graphic web design change recommended by David Potosky last month. No major changes from last year. Arthur Knowles moves to except proposed budget. Robyn Bipes seconds. Unanimous votes in favor. Walldogs Summary – Sarah L-R put together a summary of he project including money spent, money that came in, and volunteer hours committed. Over 3400 hours of volunteer time. The reason for providing P/L statement is to show diversity or projects that supported Walldogs. Final budget – everything got paid for except staff time. KFNA agreed to a 65/35 split with Lyndale based on administration time put into the project. The slit came down to a $6,500 expenditure of general administrative time by KFNA. There will be a movie coming out and a release party. These will not affect this budget. There is nothing in the general budget to address issue of anti-graffiti coatings. Arthur Knowles moves to accept Walldogs budget. Brauer seconds. All in favor except Diana Schleisman, who abstains. Redevelopment and Zoning-approval of co-chair – Robin Bipes moved, Brauer seconded. All in favor. King Bridge Partnership – $15K allocated to this. Sarah L-R discussed with Steve Jevne moving these funds to 35W related bridge issues and 46th Street transit project. Tom recommends attending 4th Annual Community Art Show-aRt: ReDefine, ReCreate, ReInvent. There are volunteer opportunities. Annual Meeting – We have a meeting scheduled for before this. Suggestion to move this April 1. Tom Parent asks board to confirm attendance. Taste of Kingfield. Three restaurants on board. Anodyne, Victor’s, Butter. Last year we had six signed up and five that showed up. Discussion of which members are rotating off the board. Sarah L-R suggests that new local businesses be invited to attend and have information. Question of who can speak at the meeting. Tom P. will try to confirm who will be present and wanting to speak. Discussion of possibly staggering he meeting to have annual meeting first and then address school issues. Sarah L-R asks who we should ask from the school board. There is a suggestion that Tom Madden of the school board be asked to come and speak, which Sarah L-R will do. KFNA will address additional agenda items at next meeting. Parent called the meeting to order at 7:05 PM. 1) The group of visitors suggested that there is a need for an off-lease dog park in the area of Kingfield and asked the KFNA Board if anyone had previously proposed a dog park to the Board. The Board was not aware of a previous request. The Board discussed possible sites for a dog park including MLK Park as well as vacant properties. Brian Cornell stated that it would be a long process with the Park Board to gain approval on Park property. Knowles suggested the group to contact Council Member Glidden. Linnes-Robinson mentioned that a dog park may be a good safety strategy for the park, and suggested the group prepare an estimate. The Board discussed having a poll on the KFNA website to gauge interest. The group was referred to Redevelopment for future discussions. 2) Brian Cornell provided a few updates on park activities. Cameras are now operational in the park building, and outside cameras should be operational this spring. Painting and a new front desk have been completed. Washburn Community Education was considering MLK Park for a disc golf program. Field 1 is dedicated for baseball, and Fields 2 and 3 are designated multi-use. 1) December 2008 Minutes: Tabled to March 2009 Board meeting at the request of Parent. 2) January 2009 Minutes: Sur moved to adopt. DeParde seconded. Passed unanimously (Brandow and Saddoris abstained). – There are currently twelve business sponsors pledging $300 each. Included is one restaurant pledging in-kind contributions. 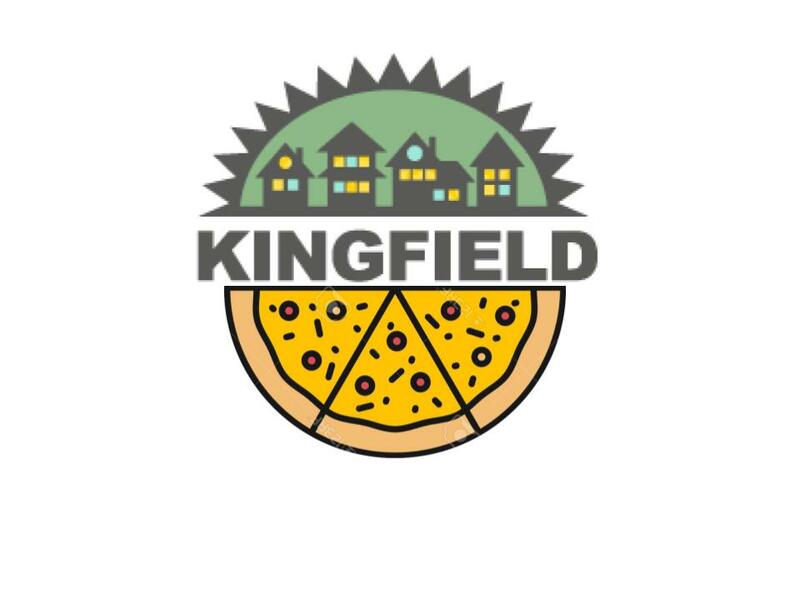 – There is a need for numerous restaurants at the ‘Taste of Kingfield’ event at the Annual Meeting. Linnes-Robinson was directed to recruit restaurants for only this event (the initial request asked restaurants to participate in three events). – There was a hearing by phone last week in which Linnes-Robinson participated with a judge. Sam (former employee requesting benefits) did not participate. – The judge concluded that Sam is entitled to benefits, as she was dismissed without cause. – It is believed that entitlement to benefits is regardless of employment status or hours worked. – An estimate of benefits is not yet available. Sur will review hours worked and pay rate to get a sense of the KNFA’s exposure level. – Any appeal must be filed by February 24th, 2009. – Potosky moved to empower Linnes-Robinson to work with Sur and make a decision regarding the filing of an appeal. Brandow seconded. The motion passed unanimously. – Discussion on in-kind donations: In-kind donations are valued by the provider. The KFNA asks for an invoice, and then issues a letter thanking the contributor. – Discussion on funds held at Center for Energy and Environment (CEE): Money repaid from loan programs can be returned to the KFNA for unrestricted use. These assets should be shown on the KFNA’s balance sheet. Linnes-Robinson to investigate getting these assets on the KFNA’s balance sheet. – The SAFE program has been eliminated by the Minneapolis Police Department. Tom Thompson will still be the civilian contact. – $15k has been allocated by the City for planning. Sent to Redevelopment to see if someone wants to attend an as-yet unscheduled meeting. – There are currently 60 artists registered. – DeParde mentioned that several Members have requested another ‘Clean Sweep’ event. Linnes-Robinson stated that the City no longer pays for the program. Discussion on recycling/disposal programs was referred to the Green Committee. – Linnes-Robinson to review if any changes are needed to be brought to the Members at the Annual Meeting. Any proposed changes will be discussed at the Executive Committee meeting. – The ‘Taste of Kingfield’ was popular last year. Linnes-Robinson will recruit restaurants for this year. Invited guests for the Annual Meeting will include Inspector Arneson from the Minneapolis Police Department and elected officials. Campaigning candidates not currently holding office will not be asked to speak. New businesses will be invited to set up tables. – Linnes-Robinson will meet with Sarah Gleason to conduct a review. Linnes-Robinson will document the review. Linnes-Robinson and DeParde mentioned that they have been impressed with Gleason’s work to date. – Linnes-Robinson asked the Board whether objectives have been met for the grant award by the KFNA, and if payment should be made. She will review the minutes from the Board meeting where the grant was originally discussed and will provide communication to the Board. Meeting adjourned at 8:59 PM. Minutes prepared by Dave Saddoris.